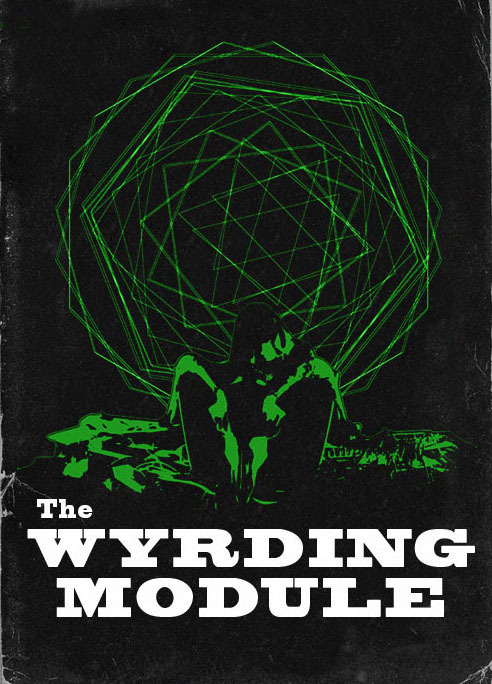 "THE WYRDING MODULE " IS A SOLO PROJECT FROM PARAMUSICIAN CHRISTOPHER GLADWIN, ONE HALF OF " TEAM DOYOBI " ( SKAM , ICASEA ). THE PSYCHOTRONIC SOUNDS OF THE MODULE ARE INSPIRED BY KOSMISCHE MUSIK, MANTRA-ROCK, POST-INDUSTRIAL AMBIENCE AND THE OCCULT. "In metaphysical terms, the wyrd embodies the concept that everything is turning into something else while both being drawn in toward and moving out from its own origins. Thus, we can think of wyrd as a process that continually works the patterns of the past into the patterns of the present."